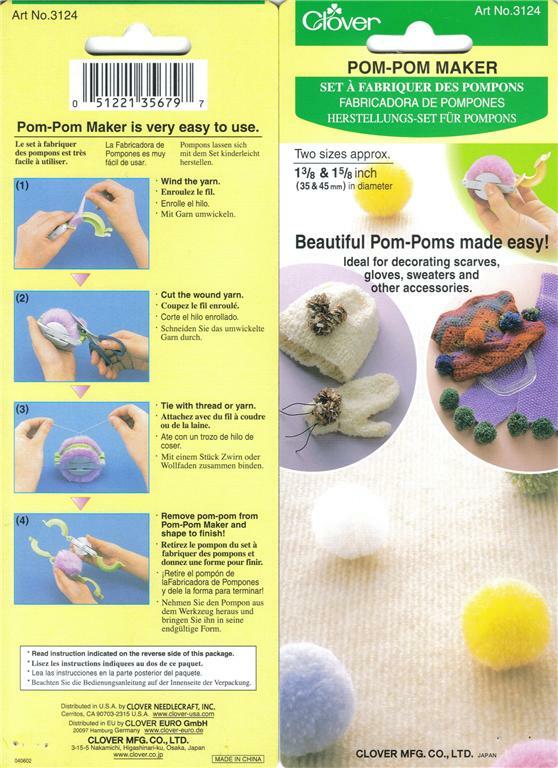 Beautiful Pom-Poms made easy! 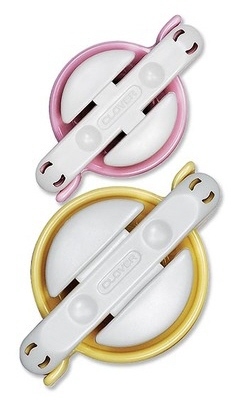 Contains 2 Clover Pom-Pom makers size 1 3/8 inch & 1 5/8 inch (35 & 45 mm) in diameter and instructions. Beautiful Pom-Poms made easy! 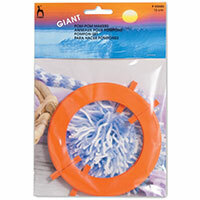 Contains 2 Pom-Pom makers size 1 3/8 inch & 1 5/8 inch (35 & 45 mm) in diameter and instructions. I was amazed how easy it was to use and how quick I got a good shape Pom-Pom. Perfect for decorationg scarves, gloves, sweaters and other accessories. 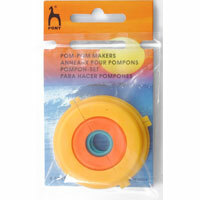 Pompon set comes in box and contains 4 sizes and instructions. 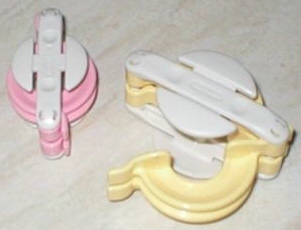 Set of 4 pom pom makers 3.5cm to 9cm.